We are a market town in the Cotswold hills, equidistant between Oxford and Cheltenham. Chipping Norton has a town council, and comes under West Oxfordshire District Council and Oxfordshire County Council. There is lots to see in and around Chippy – from the Victorian Bliss Mill to 17th century architecture, including almshouses; cottages originally built for 19th century glovers and weavers to the mysterious Rollright Stones. Our MP is the Prime Minister, David Cameron. 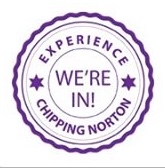 The Chippy area is home to what has become known as the “Chipping Norton Set” – which includes not only David Cameron, but also the likes of former tabloid editor Rebekah Brooks, writer and broadcaster Jeremy Clarkson and rock star/cheesemaker Alex James. But that is only half the story, and Chipping Norton News seeks to reflect the news that matters to the whole population of the area. 8.50am. Someone was up early!